Vacation rental houseboatTake your next Canada fishing adventure on a houseboat. Most houseboat rentals come with a fishing boat so you can leave the houseboat to fish if you’d like. If you have just finished supper and don’t feel like leaving, try fishing off the houseboat, you never know where that trophy walleye will be. You can rent a houseboat on lakes such as Lake of the Woods, Lac Seul and Dog Lake. For more information on your house boat rental, please contact the houseboat operators below. There are 9 members showing in this page. If you want to concentrate on walleye fishing and nothing else, then an American Plan package at one of our ontario resorts is what you’ll need. Hearty meals are served up for you along with a shore lunch kit and a scrumptious full course meal in the evening. All you have to worry about is having a good time! Many American Plan resorts include guide service and boat rentals. Do you want to bring your own boat, but still get pampered at dinnertime, don’t worry, lodges will often offer modified American Plan packages. 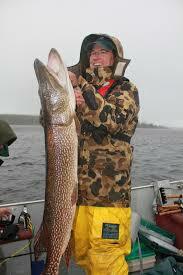 Canoe outfitters can set you up on a remote fishing trip to lakes only accessible by canoe or float plane. There are 100,000 lakes and rivers in Ontario’s Sunset Country, many teeming with walleye. You can choose a day trip for some easy paddling or you can plan an paddling expedition with a canoe outfitter. Your canoeing and fishing adventure in Sunset Country can be anything from a quiet afternoon on a calm river to a guided excursion lasting several days. Equipment rentals and guides are available. For more information on prices, canoe routes and rentals, visit the canoe outfitters below that also offer walleye fishing. Canadian Canoe Outfitters Offering Walleye Fishing Canoe outfitters can set you up on a remote fishing trip to lakes only accessible by canoe or float plane. 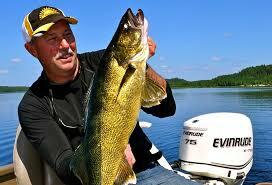 There are 100,000 lakes and rivers in Ontario’s Sunset Country, many teeming with walleye. You can choose a day trip for some easy paddling or you can plan an paddling expedition with a canoe outfitter.